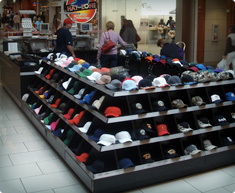 The Hatzone offers quantity discounts for organizations ordering more than 5 hats. The HatzoneOnline will convert your custom logo or graphic into embroidery! Select the your style, color and size. Add your custom embroidery and text. Place your order. No minimum quantity. All American Wrestling and Hatzone have teamed up to bring you customized bags and backpacks. Great for sports and school!